You want more organic site traffic. But you need that SEO traffic to convert to sales even more. It’s not easy. You have thousands of SKUs to optimize. And the search engines are constantly changing their algorithms. It’s nearly impossible to keep up with the constant changes that affect your site’s rankings on search engine results pages. 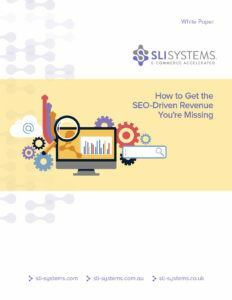 Get the ultimate e-commece SEO ebook now and see your revenue increase. Power Tip: User-generated SEO allows you to capture a high ranking position for the “long tail” of searches that convert to sales… without endless manual setup of landing pages.